Comments: Double LP gatefold. Cover has very light wear on the corners, looks brand new otherwise. 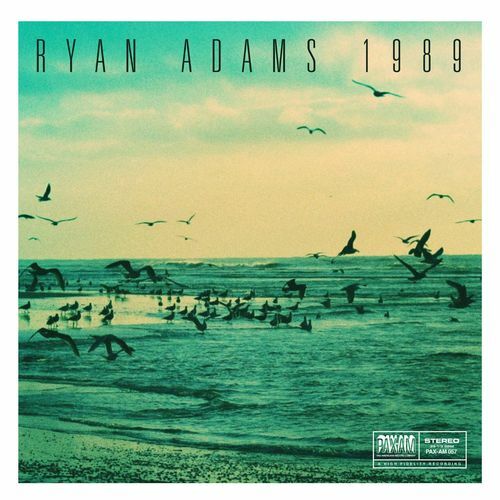 Ryan Adams’ full-album cover of Taylor Swift’s blockbuster album 1989 is easily derided in concept. What benefit would Adams fans get from the cultish, prolific artist seeking inspiration from a pop singer as young and ubiquitous as Swift? Plenty, it turns out. Adams hasn’t sounded this directed in ages. “Welcome to New York” is perfectly suited to Adams’ Springsteen-ish heartland rock tendencies (think of it as a cousin to his own “New York, New York”). 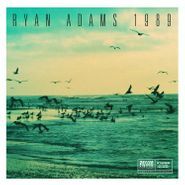 Musically, 1989 is gorgeous; the reverb-rock take on “Style,” mandolins as strings in “Out of the Woods,” chiming Smiths guitars in “Wildest Dreams” and ’80s rock pulse of “All You Had to Do Was Stay” give 1989 an immaculate sheen worthy of its pop predecessor. Some of Swift’s lines and singsongy melodies sound a little silly coming through Adams’ world-weary lips (“Shake It Off’s” “Haters gonna hate”), but he also has a way of revealing not only the darkness underneath most pop lyrics (“you look like my next mistake” sound sad rather than impulsive in “Blank Space”), but the universality of the emotion behind them. Part of the record’s success can be attributed to Adams’ chutzpah; the rest comes from the fact that these were solid hooks and entertaining lyrics to begin with. It’s clear from listening that 1989 is no cash-in; Adams may have been 15 in 1989, when Swift was born, but he uses that to his advantage. The youthful emotion present in these songs still courses through him, and the tinges of regret and nostalgia he adds makes the material all the stronger.